Invokana lawsuits are currently being filed against the manufacturer of Invokana, Johnson & Johnson, on behalf of individuals who believe they were injured as a result of using the popular type II diabetes drug, Invokana. 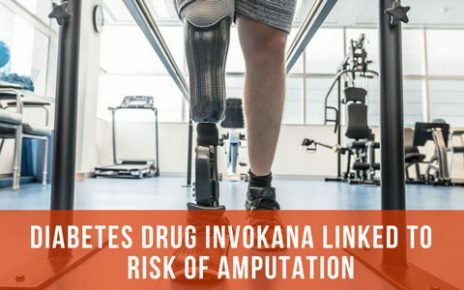 Type II diabetes drugs including Invokana, Jardiance, Farxiga, and Invokamet are linked to serious injuries including Diabetic Ketoacidosis, Kidney Failure, Bladder Cancer and others. On May 15, 2015 FDA issued a safety warning that the type-2 diabetes mellitus (DM) drugs canagliflozin (Invokana, Johnson & Johnson), dapagliflozin (Farxiga, AstraZeneca plc) and empagliflozin (Jardiance, Boehringer Ingelheim GmbH and Eli Lilly & Company) belonging to SGLT-2 class inhibitors may cause diabetic ketoacidosis, a serious condition that makes blood acidic due to the presence of ketones. According to the FDA safety alert, patients should stop taking their SGLT2 inhibitor and seek medical attention immediately if they have any symptoms of ketoacidosis, a serious condition in which the body produces high levels of blood acids called ketones. SGLT-2 inhibitors (including Invokana, Farxiga and Jardiance) are a class of FDA approved drugs prescribed for type-2 diabetes patients in conjunction with diet and exercise to lower blood glucose levels. These drugs block glucose reabsorption from the kidney, thus increasing urinary glucose excretion and reducing blood glucose levels. Diabetic Ketoacidosis is an acute metabolic complication of diabetes, also referred to as diabetic ketoacidosis (DKA). DKA occurs when insulin levels are inadequate to meet the body’s basic metabolic requirements. Insulin deficiency leads to the formation of free fatty acids due to the breakdown of triglycerides and amino acids, which get converted to highly acidic ketone bodies, leading to acidosis. Symptoms include nausea, vomiting, and abdominal pain that can progress to kidney failure, cerebral edema, coma, and death. Injured by Invokana or Another Type II Diabetes Drug? Error: Untreated symptoms of ketoacidosis can lead to kidney failure, cerebral edema, coma or death. The FDA identified 19 cases of life-threatening blood infections (urosepsis) and kidney infections (pyelonephritis) that started as urinary tract infections with the SGLT2 inhibitors reported to FAERS from March 2013 through October 2014. All 19 patients identified were hospitalized, and a few required admission to an intensive care unit or dialysis in order to treat kidney failure. According to an FDA review of the FDA Adverse Event Reporting System (FAERS) database from March 2013 to May 2015, 73 cases of ketoacidosis in patients with type 1 or type 2 diabetes treated with SGLT2 inhibitors. In February 2016, the European Medicines Agency (EMA) confirmed recommendations to minimize the risk of diabetic ketoacidosis in patients taking SGLT2 inhibitors including Invokana, Farxiga and Jardiance. According to the EMA notice, patients taking these medicines need to be aware of the symptoms of diabetic ketoacidosis (DKA) According to Advera Health’s RX Signal, the number of individuals experiencing diabetic ketoacidosis noted by the FDA is understated. According to Advera health, there were 71 cases of DKA from Invokana use and 28 cases of DKA with Farxiga use. These reported numbers are likely to increase as more individuals become aware of the link between SLGT-2 inhibitors and ketoacidosis. How Do I Pick an Invokana Lawyer? How Can an Invokana Lawsuit Help? Your Invokana, Invokamet, Jardiance, or Farxiga lawsuit is designed to help you financially recover from injuries that were caused by someone else. We hope putting your trust in TruLaw will take away your concern of protecting your legal rights., but it is most important to us that you spend your time recovering physically. Has There Been an Invokana Settlement? Is there an Invokana Class Action? 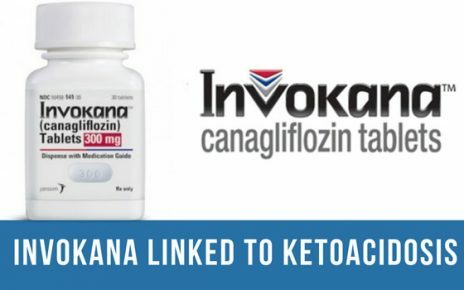 Is there currently an Invokana Lawsuit? TruLaw is pursuing Invokana, Invokamet, Jardiance, and Farxiga lawsuits because we believe consumers were not properly warned of the risks of injury. Have you seen or heard a Invokana Commercial? Did a recent Invokana or diabetes drug commercial grab your attention? Did you find our site because you were wondering if you qualify for Invokana lawsuits? We built the Invokana Instant Case Evaluator as a no cost/no obligation place for you to find answers about your legal rights. If you found us today, you are looking for instant answers to whether you should file a Invokana, Invokamet, Jardiance, or Farxiga lawsuit and we want to help you. We believe that in order for you to make important decisions about your health and your legal rights, you need to start with information. We provide you this valuable information so you are prepared to talk to a lawyer. Should you file an Invokana Lawsuit to protect your legal rights? Did you then develop any of these complications? If you answered yes to these two questions you should look into your legal rights.Fill out our Secure Invokana Instant Case Evaluation if you believe you may need to protect your legal rights. View Your Type II Diabetes Drug Case Analysis Now! Were you taking Invokana, Invokamet, or Jardiance when the injury occurred? Please list any additional details of your diagnosis, injury, or any other information that will help us determine if you or your loved one qualifies for compensation. You indicated that you experienced an injury other than what is listed on our form. Please list the details of this injury and any other information that will help us determine if you or your loved one qualifies for compensation.